Peya Bipasha is a Bangladeshi actress and model who was a participant of the country leading beauty pageant Lux Chanel I Superstar in 2012. The actress comes to the timeline around the country when she appeared in a television commercial ‘Cholo Bohudur’ by leading telecom company Grameen Phone. After reached the top ten in the beauty pageant, she left the competition but her elder sister Azmeri Asha became the first runner-up in the same competition. Peya Bipasha was born on July 18, Dhaka, Bangladesh. She was so much passionate about media arena from early childhood eventually build up her career in the certain field. Peya completed HSC from Siddeshwari Girls College and wished to be an army and the desire didn’t fade away yet. But the actress builds up her career in the showbiz arena very strongly. Peya Bipasha kicked off the journey in the showbiz arena with the billboard model. She got the huge attention around the country when appeared in the Vaseline Billboard model by Unilever Company, because with her picture, the billboard placed in different 5500 places. She got the extra acclamation when appeared television commercial with Grameen Phone. 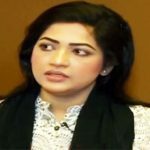 The talented actress also performs in television dramas; she made debut acting in the drama ‘Ditio Matra’ with Tahsan Rahman Khan. Then she appeared in the drama ‘Trade Fair’ and made a wonderful performance. Peya Bipasha also made a terrific acting performance in the dramas ‘Somoyer Golp Osomoyer Sopno’ and ‘Osamapto Vhalobasha’. Peya made her acting debut in the film industry with the movie ‘Rudro the Lover’ with ABM Sumon in 2016. She starred in the movie ‘Moner Raja’ with actor Zayed Khan. Then she appeared in the movie ‘Janemon’ for a different role with co-actor Bappy Chowdhury. 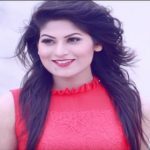 The actress also appeared in music videos, she got the attention of the audience for the video ‘Fire Asho Na’ with Imran Mahmudul. Peya Bipasha is a married woman in personal life and has a daughter named Soha. It is reported that she withdraw herself from a movie due to scandalized proposal of Shakib Khan. I really like ur acting,ur guise ur drama ur eyes ur style.